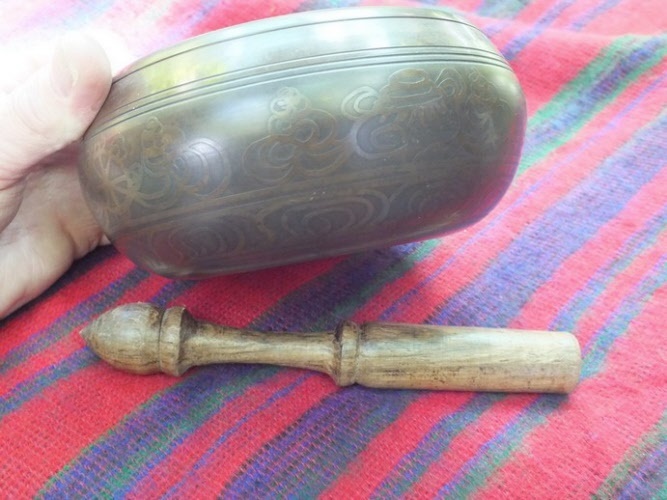 Each singing bowl here comes with a FREE wooden striker as pictured with the bowl. Healing bowls come with a gong striker FREE of charge. All of our sining and healing bowls are carefully selected by ourselves for their pure sound quality and tone. Please note: designs may vary from time to time due to changes in stock. If you would like to hear one please just call Andy on 0409 068 727 and he can play for your over the phone. 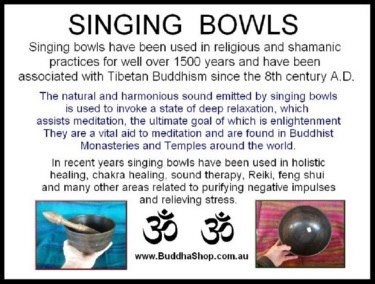 Click on the photo to read about singing bowls. 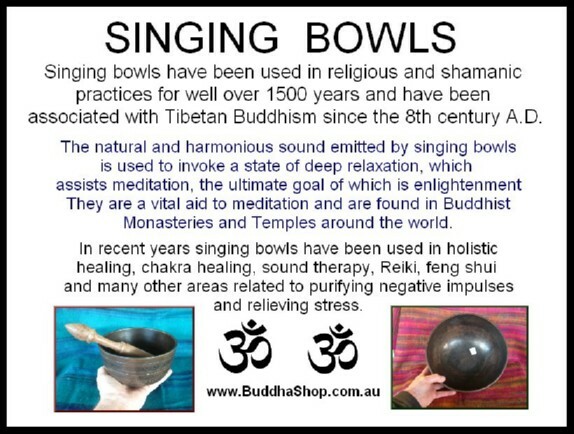 If you want to see singing bowl books just go to our books link on the left of the page. 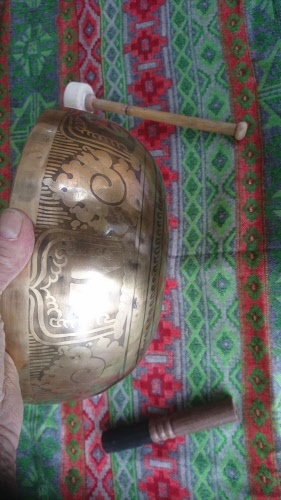 Serene sound and easy to play. 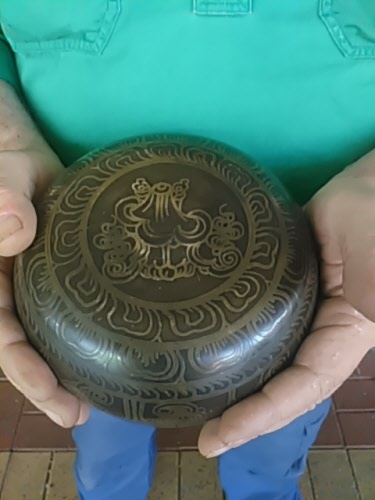 A beautiful bowl made by experts in Nepal. Comes with FREE striker as pictured. 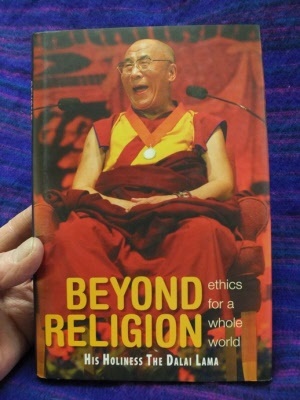 Click on photo to see more images. Supreme sound / Comes with two strikers as pictured. Beautiful to look and and a fantastic sound, all of our bowls are selected by us for their beautiful tone. 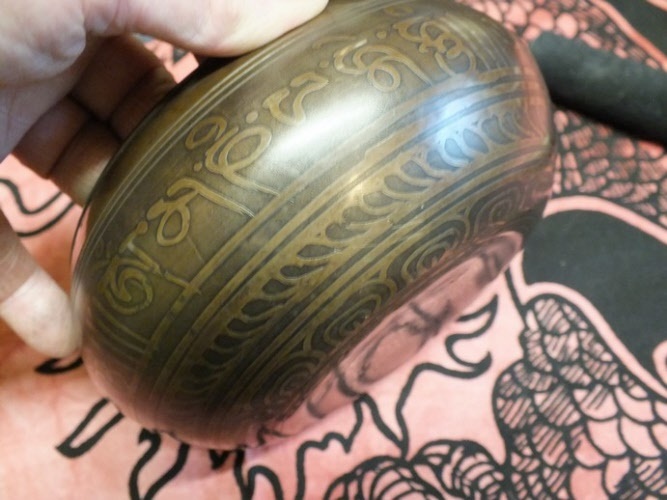 This exotic Tibetan Singing Healing bowl has a beautiful design with etched mantra and Tibetan symbols. 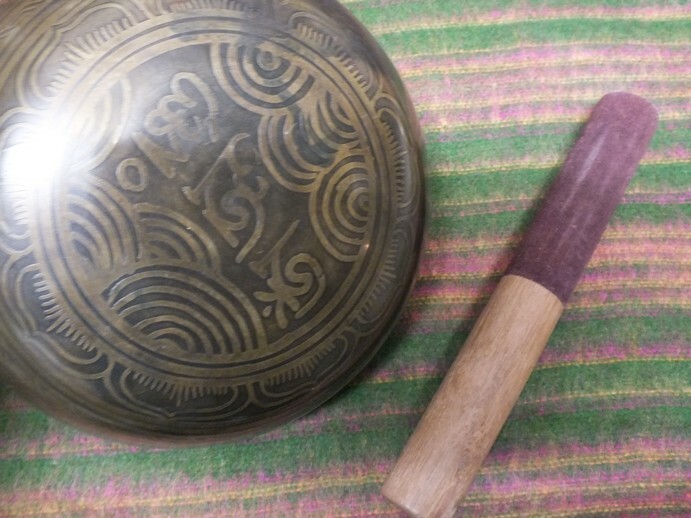 It also has a beautiful tone with great resonance and very long lasting sound when struck with the gong striker. 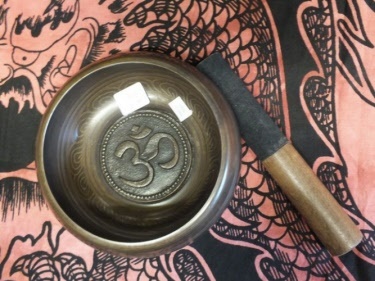 These bowls are used in Temples, Ashrams, Yoga centres and by sound therapists and Healers worldwide. Delivery cost is $25.00 in most areas. After purchasing you will be sent the cost of postage for your approval, before we process your order. 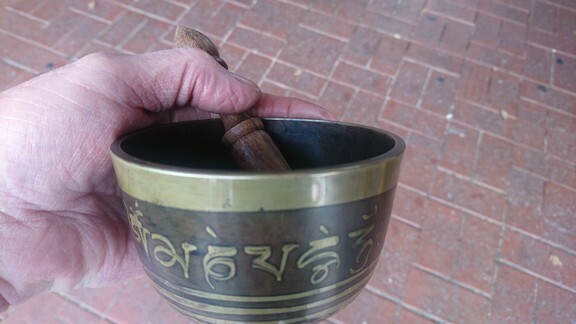 Another great Tibetan singing bowl, this one has the Sanskrit (Indian) Om sign embossed inside the bowl. If you would like to hear a bowl just phone Andy on 0409 068 727 and he will play over the phone for you. 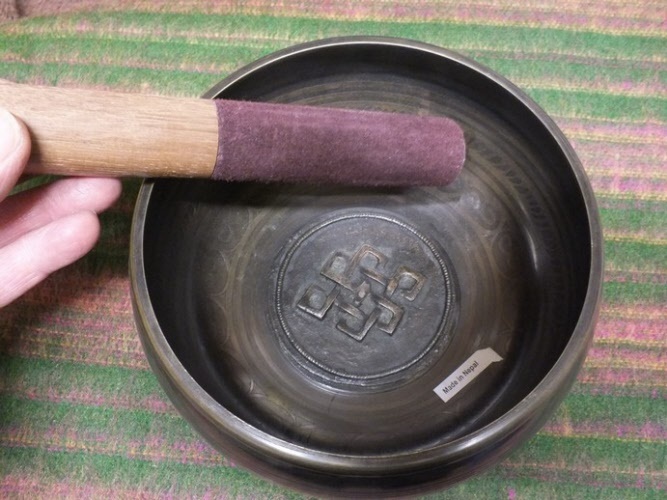 All of our Tibetan Singing bowls come with a FREE striker as pictured. 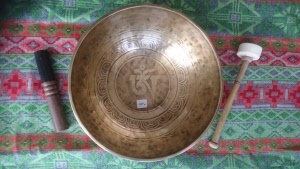 Serene tone singing bowl made in Nepal. Comes with free striker as pictured. 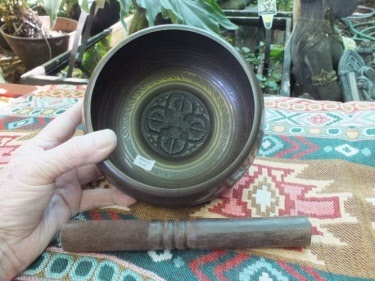 You can change the tone of this bowl by using the wood or felt end of the striker. Lovely bowl with serene tone. 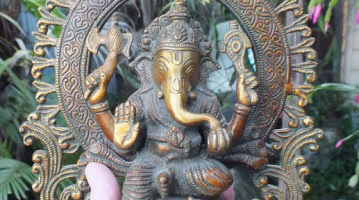 Made in Nepal by experts in the field. Click on photo to see another image and close ups. 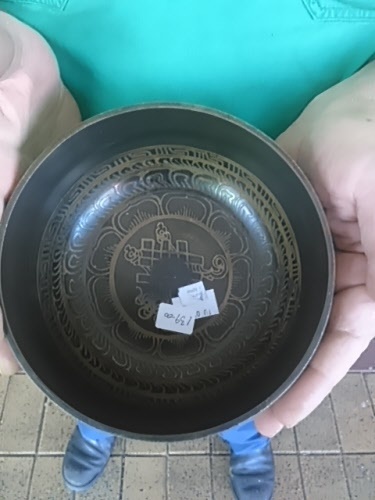 If just buying this bowl please select the postage button. Made in Nepal by craftsmen, this beautiful bowl has a great sound. 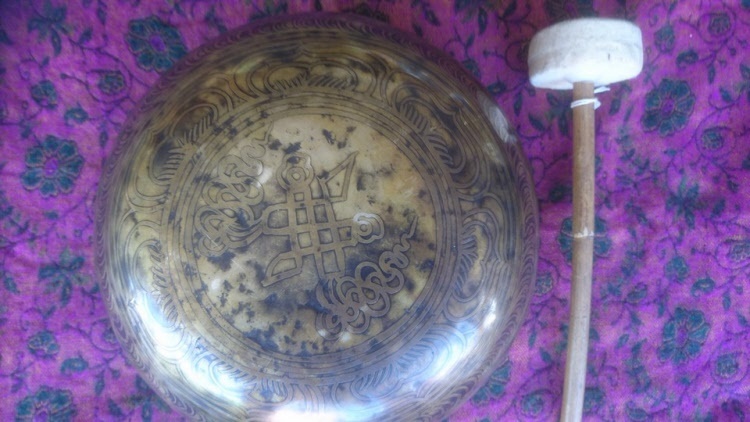 So wonderful to look at and when struck this bowl just goes on and on with it deep resonance. 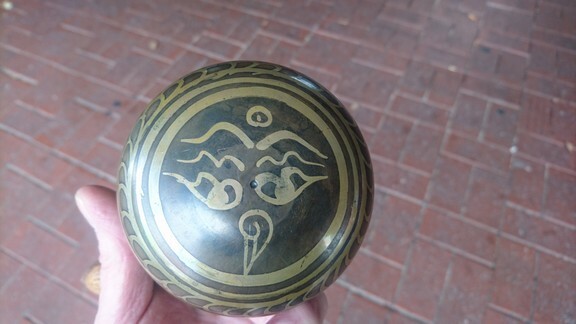 The Tibetan Buddhist Eight Auspicious Signs (around outside of bowl) Hand made and etched desings completed in Nepal. These bowls are sought after by Healers worldwide and are also used in Sound Therapy, and many Yoga studios are now using them now too, they are also being used in Meditation classes by teachers and students alike. Or if you wish to view and hear in person then please visit our Albury store. Please note: designs may vary due to changes in stock. 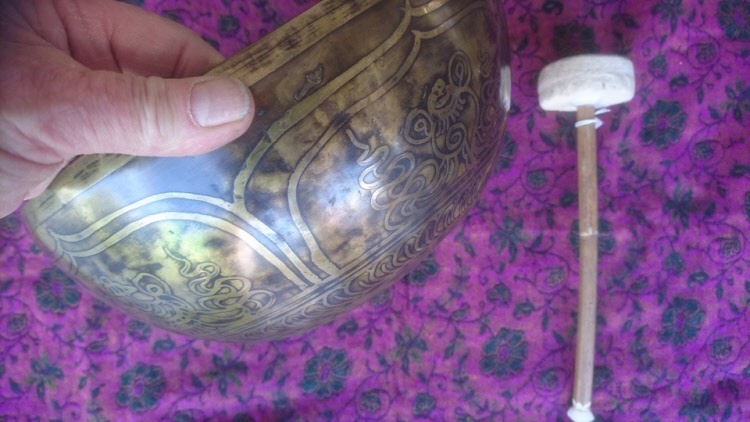 Hand beaten and made in Nepal this bowl is best when struck with a gong striker as pictured with the bowl. 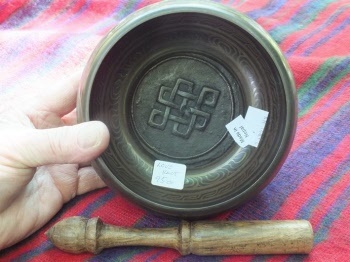 Also has the Tibetan eight lucky signs etched around the outside of the bowl. Click on photo to see more views of this beautiful bowl. One strike with the striker and the bowl rings on and on for around sixty seconds, depending on how firmly you strike it. The striker pictured with the bowl is yours FREE when purchasing the bowl. 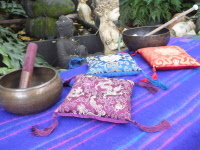 Ideal for use in sound therapy / healing sessions. 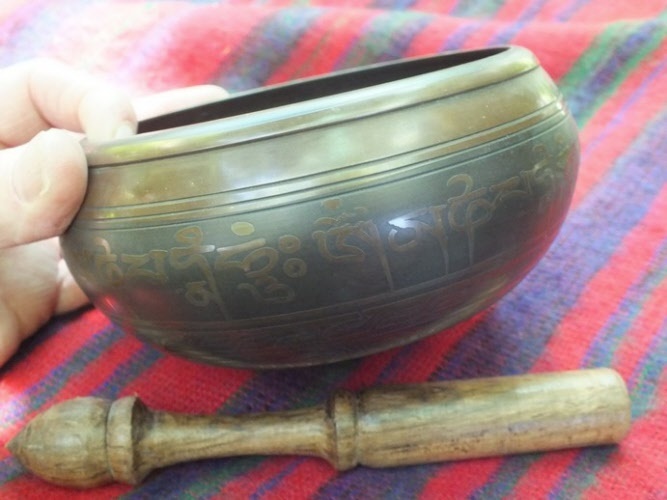 Tibetan singing bowl, this one has the Tibetan Buddhist lucky sign / Endless Love Knot inside the bowl. 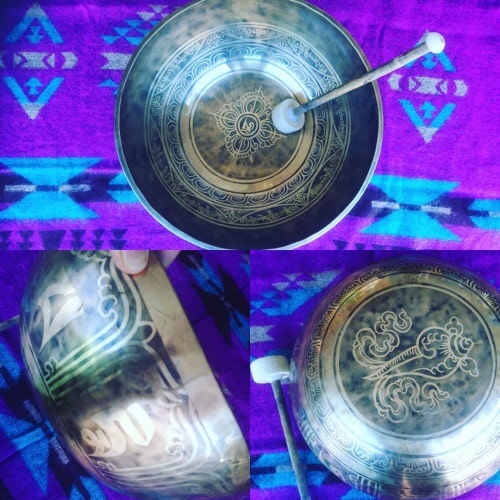 This is a beautiful bowl in design and sound. Be sure and look at all the photos. 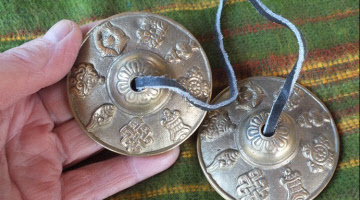 These Tibetan Singing Bowl striker give you the ability to change the sound of your bowl. 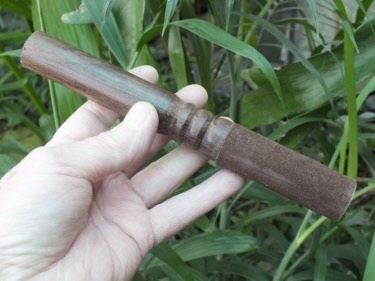 Using the wood end to strike the bowl you get a higher pitch, turn the stick upside down and you get a low tone. 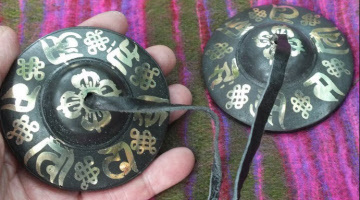 All of our felt bowl strikers are similar to the photo. 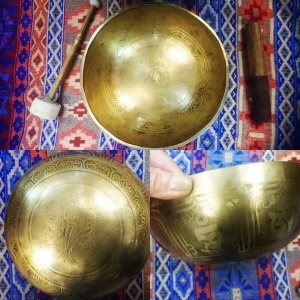 A serene sounding bowl, we select all our bowls for their supreme tones. 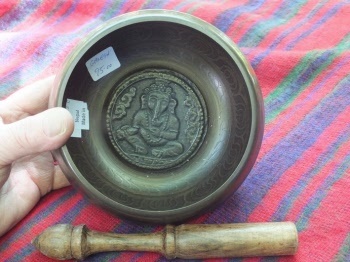 This beautiful singing bowl measures 16.5 cms across. 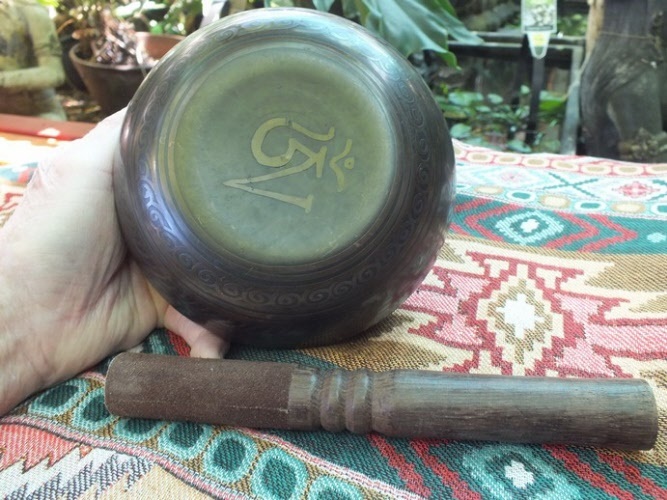 A lovely looking bowl and a smooth and soothing tone. 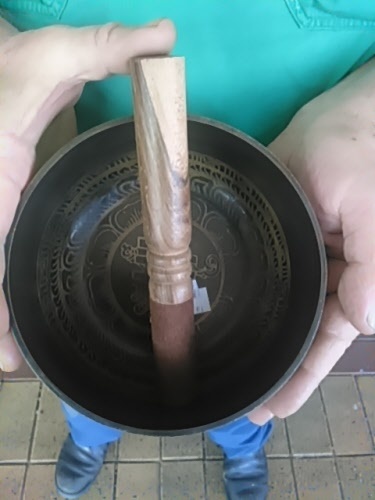 Each of our singing bowls are chosen by us personally, so we may offer the best quality workmanship and sound we can find. This bowl has the Tibetan Buddhist Endless or Eternal love knot design embossed inside the bowl as pictured. 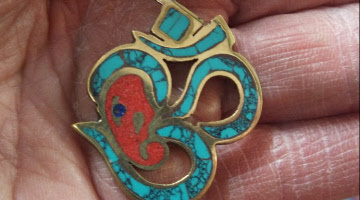 The design is a knot that has no end and therefore it is called the endless or eternal love knot. 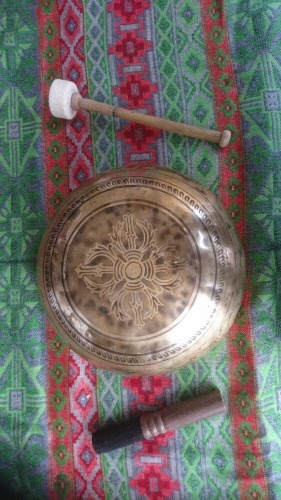 A great sounding bowl with pure tone. If you wish to hear a bowl phone Andy 0409 068 727. 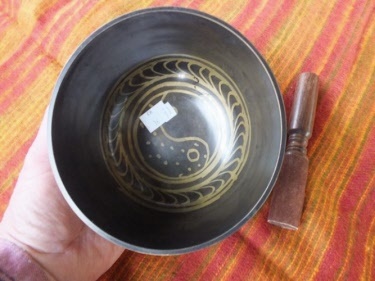 This bowl has the Sanskrit Om sign embossed inside the bowl.